Der Artikel Orphaned Land: The Road To Or-Shalem (Limited-Edition) (Translucent Highlighter Yellow Vinyl) wurde in den Warenkorb gelegt. 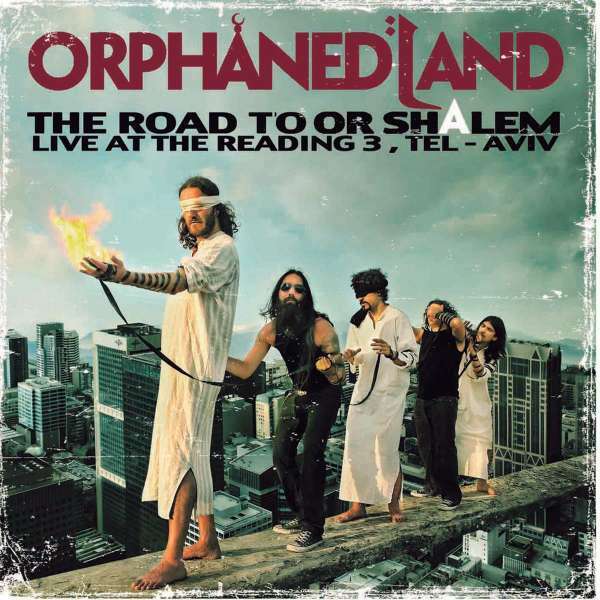 First official live recording by the Israeli messengers of peace and unity Orphaned Land. Taped at The Reading 3 (Tel Aviv), in the midst of an atmosphere of death metal, doom, prog, folk and frontman Kobi Farhi as main character, the band goes over their previous four studio albums, with classics like »Sapari«, »A Never Ending Way« or the memorable »Norra El Norra«. The most committed WITH THEIR CAUSE metal band counted on this special event with guest musicians on percussions, flutes, bouzouki and female vocals, plus a special appearance by Steven Wilson on »M I?« and »The Beloved's Cry«.